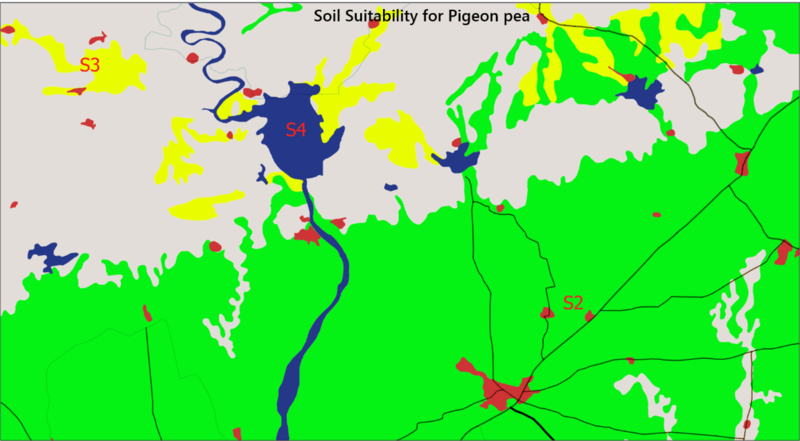 Soil suitability for a crop is very important qualitative information for the farmers. In a developing country like India, the marginal farmers in general follow the progressive farmers of their villages and grow the same crop. Whereas, the field may not have soil suitable for that crop. Thus to get the potential yield, the hybrid/variety of a crop or an alternate crop must be opted based on suitability. Soil fertility accounting the levels of Nitrogen, Phosphorus and Potash are very important qualitative information for the site specific management of a crop. The recommended rates of fertilizers (nutrients) must be suggested to the farmers based on the fertility status of their farms/fields and the crop they are growing. 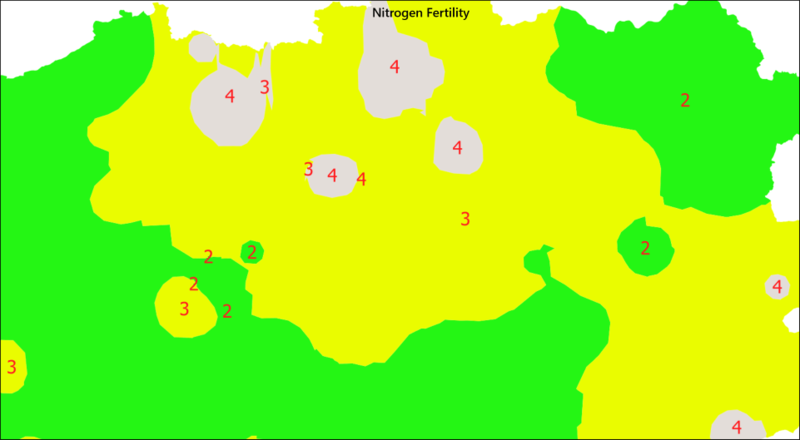 In India, the agro-climatic zones have different soils with varying levels of N, P, K; EC, pH and base level. 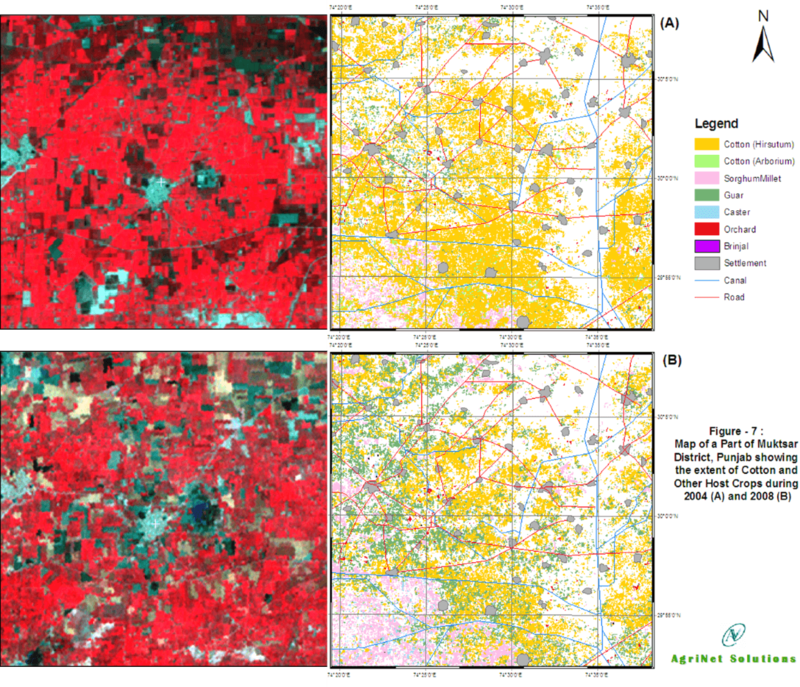 Mapping and monitoring change detection in cropping patterns due to climate changes. A change of 1 Deg. Celsius in Temperature and 5% change in rainfall brings a considerable change in cropping patterns and the reduction in yields of important food and fiber crops. The Crop Management Information System tells how the cropping pattern is changing due to change in climate. Impact Evaluation of Irrigation schemes and monitoring is another aspect in Crop Management Information Systems. 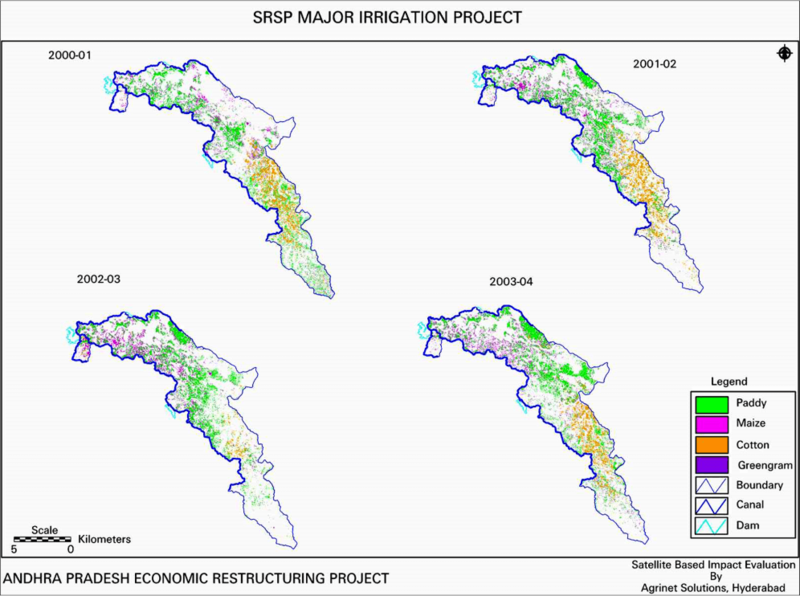 A few major, medium and minor irrigation schemes of Andhra Pradesh state of India were studied using 7 years satellite images after the introduction of the schemes with the aid of the World Bank. The information on crop condition helps in decision making to release water for irrigation in schemes. Degree Calculation Method help in irrigation scheduling for different crops.